When the temperature rises outside, many of us turn the thermostat down inside, and modern offices and homes stay cool and comfortable because of the modern engineering marvel of air conditioning. However, as with most human inventions meant to make our lives better, this comfort comes at a price. Although refrigerants for the last 20+ years have moved away from ozone destroying chlorofluorocarbons (CFC’s), an equally troublesome replacement still exists. Known as hydrofluorocarbons (HFC’s), these molecules possess high global warming potential. This means that the very same units that keep us cool are actually large contributors to the excess heat entering the atmosphere. However, climate-friendly alternatives to HFC’s exist and they possess little or no potential for warming the atmosphere. Best of all, these alternatives are becoming more commercially available in major markets around the globe. 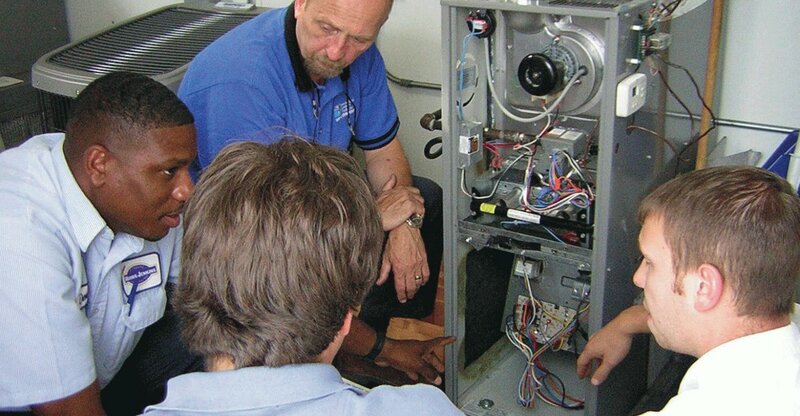 As these smart alternative technologies increase in market share, standardized certifications for HVAC technicians will need to be developed for their use and handling in the field. One thing is for certain, the National Inspection Testing and Certification Corporation (NITC) will be ready with various types of HVAC certifications meant to ensure that technicians will be as adept at utilizing the newest refrigerants as they were with the older materials. Therefore, whether you’re a training director, association representative, employer representative, or an individual applicant, National Inspection Testing and Certification Corporation (NITC) is there to help advise you along the way. Contact NITC at (877) 457-6482 to learn more about how our products help prepare the most qualified, most reliable, and safest trade professionals possible thanks to our wide range of industry certifications. We can help your business exceed customer expectations, so have your personnel certified with the certification company, NITC, today!